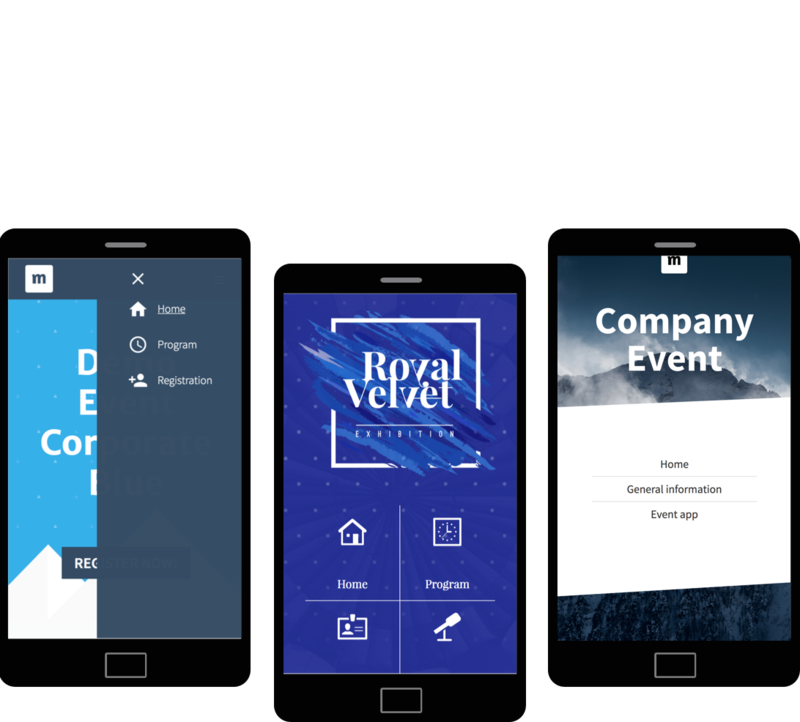 Easily create an event website in your own corporate style. Impress your invitees with a stylish email. Effortlessly import all your contacts from Excel. Design and prepare all your mailings in the style of your event. View the open and clicking rate for each contact. Select appropriate recipients from the registration overview. Create separate lists for each type of invitee or VIP. Workshop registration, extra guests and waiting list included. Use the software to sell tickets to your event. An automatic overview of all registrations and cancellations. Determine how many people can register. Place people on a waiting list, once the maximum tickets is reached. Scan the QR-code on the e-ticket with any smartphone or tablet. Determine exactly when your guests can enter the event. Print and fold the e-ticket into a handy name badge (a6). Swiftly create a beautiful event website, matching your event style. The event website looks perfect on all devices. Share the buzz around your event with your audience. Easily share photos, videos and presentations with your visitors. Create a survey, including NPS score to evaluate the event success. Export data, analyse results and generate professional reports. A beautifully designed email in the style of your event. Every invitee is addressed personally. A personal registration link for each invitee. Your invitees easily fill in the pre-loaded data. Allow invitees to immediately choose a workshop at registration. Allow your invitees to see who else is coming before they register. Design and set-up an e-ticket in the style of the event. The invitee can directly place all the event details in the calendar. An automatic confirmation containing all registration details. A personal, digital e-ticket for each visitor. A page for each visitor, containing registration information and e-ticket. Fold the e-ticket into a name badge, and include important event info. All event info in one place (programma, location, etc.). Your visitors can use the guest list to easily contact each other. Create the ultimate app experience with 3 menus and a custom icon. Your visitors receive a nice overview of the day: photos, videos and presentations. Your visitors can give you feedback about your event. Stimulate your visitors to register for next edition.